One of the most-read books in New Zealand publishing history, A good keen man established Barry Crump’s reputation as an iconic ‘Kiwi bloke’. 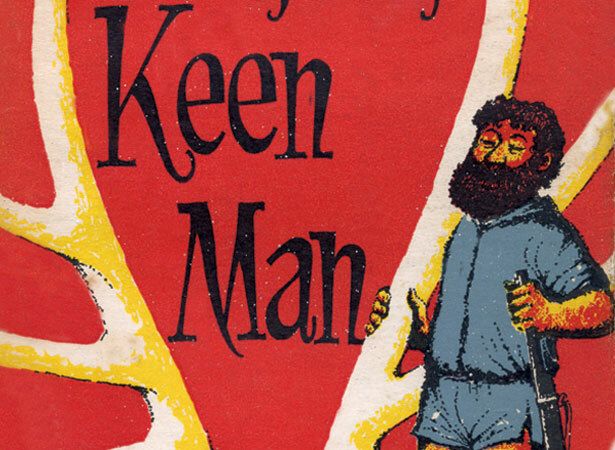 Crump’s 20-odd books capturing the humour and personalities of rural New Zealand had sold more than a million copies by the time he died in 1996. He appealed to many Kiwis as a ‘man’s man’ who could tell a great yarn. Toyota utilised Crump’s down-to-earth style in a series of 1980s TV advertisements promoting four-wheel-drive utility vehicles. Crump, with his rugged ‘she’ll be right’ attitude, had a foil in city slicker Lloyd Scott as he pulled off implausible feats of driving. While he inspired many, others criticised Crump for what they saw as less endearing aspects of a ‘good keen man’. He married five times, but had little to do with most of the nine children he fathered with four different women. He converted to the Baha’i faith some years after the death by drowning of five boys at a camp he had organised. We have 5 biographies, 3 articles, related to Barry Crump publishes A good keen man .